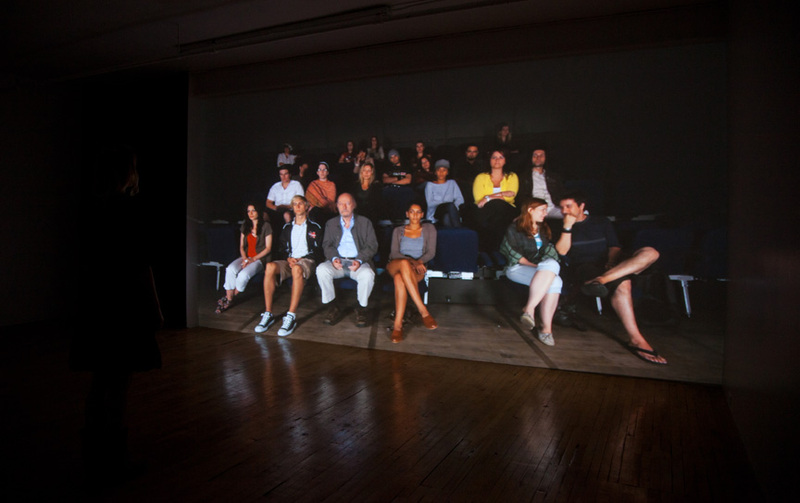 I created online postings seeking participants for a video project; I explained that the willing participants would form an audience and that they would be videotaped while watching a video by the artist John Baldessari. I offered a 30-min. studio portrait session in exchange for their time. I corresponded with over forty people, and on the day of the shooting, twenty-one people showed up. 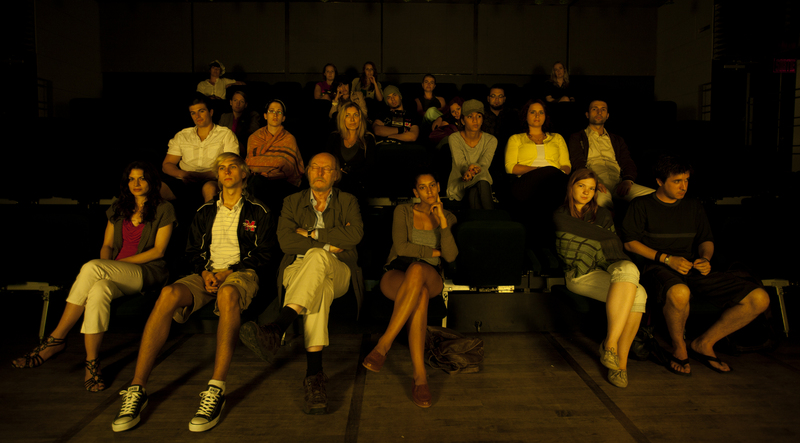 All that I asked of them was to remain seated for the duration of the screening (32mins.) and that they could respond or interact however they wished. I installed a rear-projection screen in a rented theatre space. I cut a hole in the middle of the screen to position the camera’s lens within. Their view of the video was therefore partially obstructed by the position of the camera and tripod, emphasizing and reminding them of their role as performers before a camera.